I’m crossing my fingers that the current forecasts I’m reading are exaggerating the predictions for Thursday. The coastal flooding is predicted to impact local high tides, causing a 14 ft on Wednesday morning around 8 am and a 14.5 ft on Thursday morning around 9 – 10 am. Combine this with the high wind watch with possible gusts up to 65 mph and I smell trouble! If you live on the water along Beach Drive, you might want to make sure you have pumps ready to go and take any actions needed to prepare for potential flooding. Be sure to continue to check the forecast as they do change…hopefully for the better! Please share this information with your Beach Drive neighbors – they may not be aware of the pending storm. POINT ROBERTS ALONG THE SHORES OF THE INLAND WATERS. TAKE APPROPRIATE ACTION IF A WARNING IS ISSUED. TONIGHT…RAIN IN THE EVENING…THEN SHOWERS AFTER MIDNIGHT. RAINFALL AMOUNTS A HALF INCH TO ONE INCH POSSIBLE. LOWS IN THE LOWER TO MID 50S. SOUTH WIND 10 TO 20 MPH. GUSTS TO 35 MPH AFTER MIDNIGHT. WEDNESDAY…BREEZY…RAIN. RAINFALL AMOUNTS A HALF INCH TO ONE INCH POSSIBLE. HIGHS NEAR 60. SOUTH WIND 15 TO 25 MPH WITH GUSTS TO 40 MPH. WEDNESDAY NIGHT…RAIN AT TIMES. RAINFALL AMOUNTS A TENTH TO A QUARTER OF AN INCH POSSIBLE. LOWS NEAR 50. SOUTH WIND 10 TO 15 MPH BECOMING EAST WITH GUSTS TO 25 MPH AFTER MIDNIGHT. THURSDAY…VERY WINDY. RAIN AT TIMES. RAINFALL AMOUNTS A TENTH TO A QUARTER OF AN INCH POSSIBLE. HIGHS IN THE LOWER TO MID 50S. NORTH WIND 10 TO 20 MPH WITH GUSTS TO 30 MPH INCREASING TO SOUTH 30 TO 40 MPH WITH GUSTS TO 65 MPH IN THE AFTERNOON. THURSDAY NIGHT…WINDY. SHOWERS LIKELY. RAINFALL AMOUNTS A TENTH TO A QUARTER OF AN INCH POSSIBLE. LOWS IN THE MID 40S. SOUTHWEST WIND 20 TO 30 MPH WITH GUSTS TO 40 MPH DECREASING TO 10 TO 15 MPH AFTER MIDNIGHT. NWS Forecast for Thursday currently has gusts up to 70 MPH!!! Thursday: Rain. High near 54. Windy, with a north northeast wind 6 to 11 mph becoming south 36 to 46 mph in the afternoon. Winds could gust as high as 70 mph. Chance of precipitation is 90%. New precipitation amounts between a tenth and quarter of an inch possible. Thursday Night: Showers likely. Mostly cloudy, with a low around 45. Windy. Chance of precipitation is 60%. New precipitation amounts between a tenth and quarter of an inch possible. Here’s a snap shot of the pending tides – please remember this is NOT reflecting the coastal flooding which causes the tides to be higher than originally predicted. WED  S WIND 20 TO 30 KT. WIND WAVES 3 TO 5 FT. RAIN. WED NIGHT  S WIND 15 TO 25 KT...EASING TO 5 TO 15 KT. WIND WAVES  2 TO 4 FT...SUBSIDING TO 2 FT OR LESS AFTER MIDNIGHT. RAIN IN THE  EVENING...THEN RAIN LIKELY AFTER MIDNIGHT. THU  N WIND 5 TO 15 KT...BECOMING S 35 TO 45 KT. STORM FORCE  WINDS ARE POSSIBLE. WIND WAVES 2 FT OR LESS BUILDING TO 5 TO 8 FT.
THU NIGHT  SW WIND 35 TO 45 KT EARLY...EASING TO 5 TO 15 KT. STORM FORCE WINDS ARE POSSIBLE IN THE EVENING. WIND WAVES 6 TO 8  FT...SUBSIDING TO 2 FT OR LESS. A “barking dog report” means that we are very closely watching the sound and preparing to possibly flood. It may or may not happen (hopefully not!!). 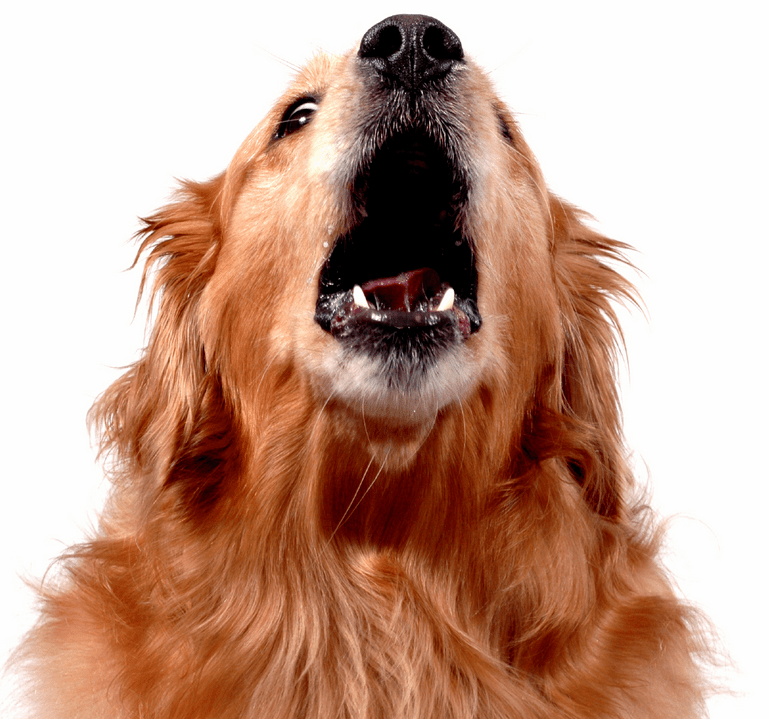 Consider us your neighbor’s barking dog who’s barking at potential trouble. Stay safe my friends! Last Sunday we had “Blue Thunder” for the Seahawks game…and it looks like this Sunday will bring howling weather as the National Weather Service has issued a Special Weather Statement for the first official day of fall. It’s probably a good idea to make sure what leaves are currently around drains are cleared (although we’re going to have plenty more coming down). Did you wake up to waves pounding your bulkhead like we did? This morning’s high tide of 11.9 happened around 7:49 a.m. Seattle area tides will only go down to about a 7.9 at 1:41 pm and then back up to a 9.1 at 6:12 tonight. The coastal flood advisory below says to add 1.5 to 2.0 feet to the tide table prediction. AND TIDELANDS MAY SEE MINOR FLOODING AT HIGH TIDE. AM AT FRIDAY HARBOR…9.8 FEET AROUND 840 AM AT CHERRY POINT. TODAY…S WIND 15 TO 25 KT…RISING TO 20 TO 30 KT. WIND WAVES 3 TO 5 FT. SHOWERS IN THE MORNING…THEN SHOWERS LIKELY. TONIGHT…S WIND 15 TO 25 KT. WIND WAVES 2 TO 4 FT. SHOWERS LIKELY. MON…S WIND 15 TO 25 KT. WIND WAVES 2 TO 4 FT. SHOWERS LIKELY. MON NIGHT…S WIND 10 TO 20 KT…RISING TO 20 TO 30 KT. WIND WAVES 1 TO 3 FT…BUILDING TO 3 TO 5 FT.
TUE…S WIND 15 TO 25 KT. WIND WAVES 2 TO 4 FT.
TUE NIGHT…SW WIND 15 TO 25 KT. WIND WAVES 2 TO 4 FT.
WED…S WIND 15 TO 25 KT. WIND WAVES 2 TO 4 FT.
TODAY…WINDY. SHOWERS IN THE MORNING…THEN SHOWERS LIKELY IN THE AFTERNOON. HIGHS IN THE MID 40S TO LOWER 50S. SOUTHWEST WIND 15 TO 30 MPH. TONIGHT…WINDY. SHOWERS LIKELY. LOWS IN THE UPPER 30S TO MID 40S. SOUTH WIND 15 TO 30 MPH. MONDAY…BREEZY. SHOWERS LIKELY. HIGHS IN THE MID 40S TO LOWER 50S. SOUTH WIND 15 TO 25 MPH. MONDAY NIGHT…WINDY…RAIN. LOWS IN THE LOWER TO MID 40S. SOUTH WIND 15 TO 25 MPH BECOMING SOUTHEAST 15 TO 30 MPH AFTER MIDNIGHT. TUESDAY…WINDY. RAIN IN THE MORNING…THEN SHOWERS IN THE AFTERNOON. HIGHS IN THE LOWER TO MID 50S. SOUTH WIND 15 TO 30 MPH BECOMING SOUTHWEST 15 TO 25 MPH IN THE AFTERNOON. Low tide neighbors get exposed! Two days of low tides offered some great sights along a couple of West Seattle beaches. Starting with the beach off of Emma Schmitz Viewpoint, found this Stingray looking critter on it's back and set him back in the water before the birds made a meal of him! Click here for an album of other photos taken off Beach Drive. Tomorrow promises to be another great day to see what's lurking below with a minus tide of -3.3. Someday I hope to get a glimpse of the famous Spirit Boulder that's been reported to peak it's head out at extreme low tides on the south side of the ferry dock.